I scream, you scream, we all scream for ice cream!! 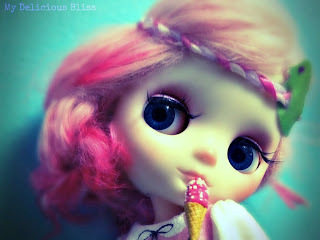 The Ice Cream man is coming!!! 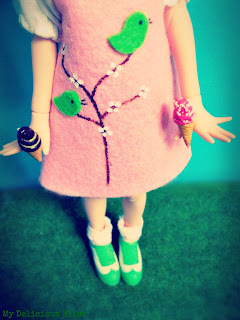 Lilliette is loving her Ice Cream Cones and her dress by La Boutique de Lupi. 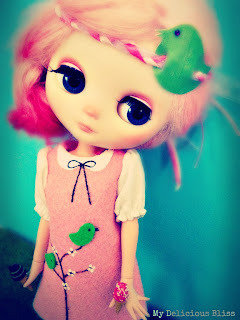 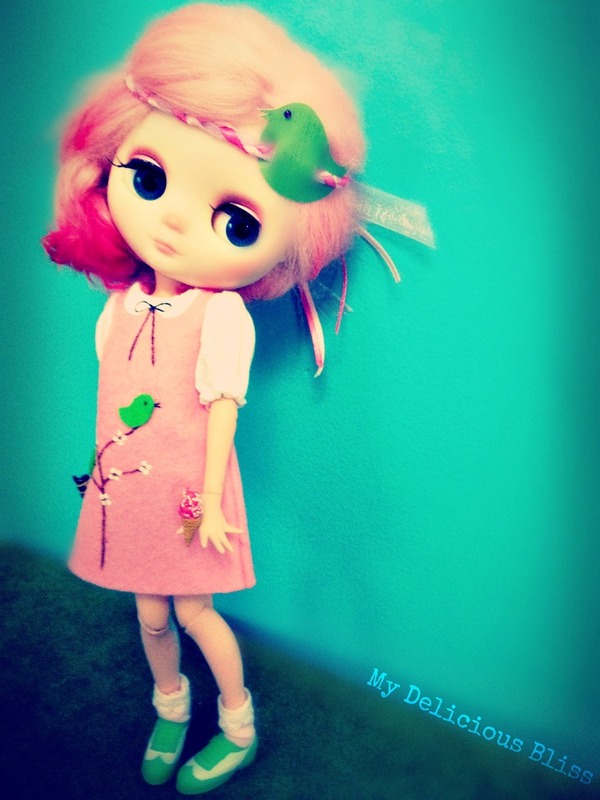 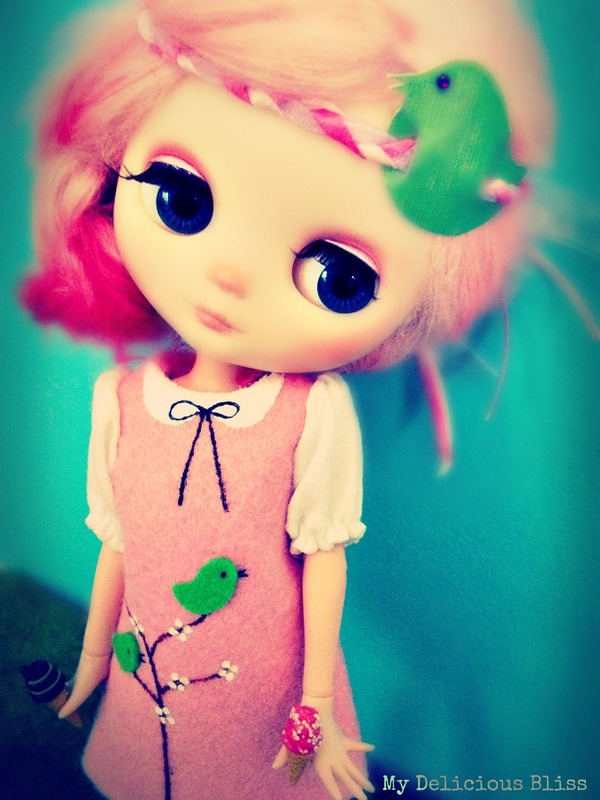 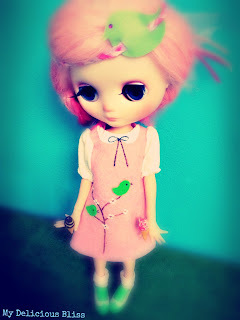 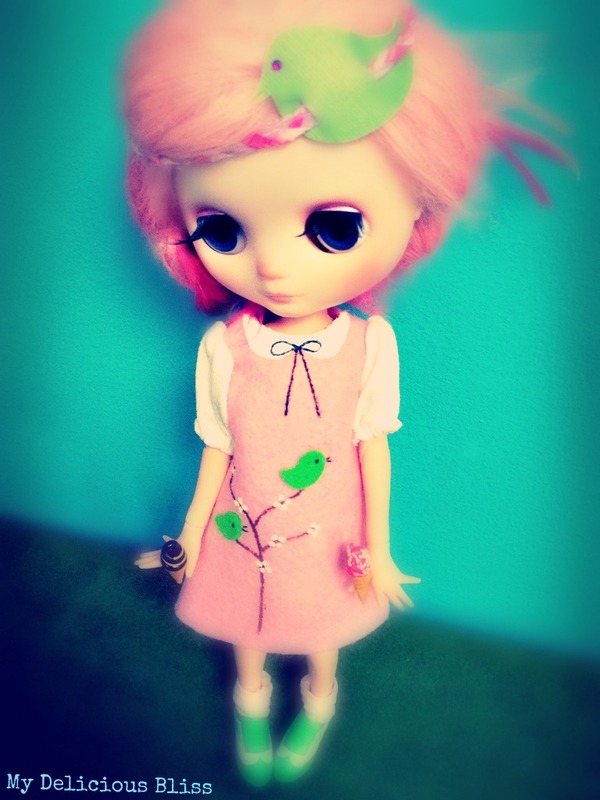 Lilliette is a hybrid Middie Blythe, she has a Middie head and an Azone Pure Neemo XS body.